Florence Eiseman two-piece set with overalls with solid shirt. 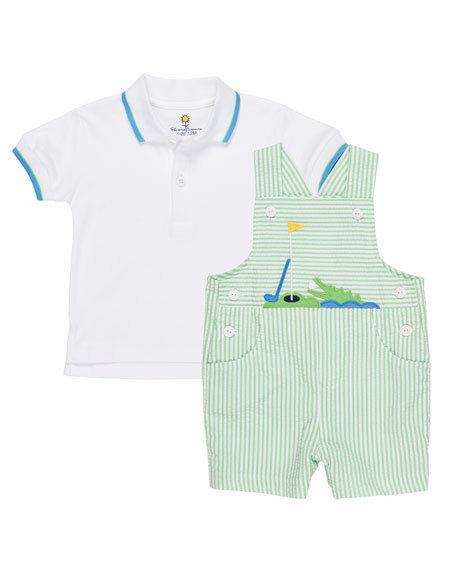 Striped seersucker overalls featuring gator and golfing appliqués at chest. Short sleeve polo shirt with button placket at front. Ribbed, banded collar and cuffs with contrast tipping. For in-store inquiries, use sku #2432702.